Find homes for sale in Four Seasons Sea Oaks in Little Egg Harbor. 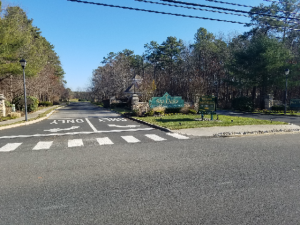 Four Seasons at Sea Oaks in Little Egg Harbor is a gated community in Little Egg Harbor, NJ.In fact, it’s built around the Sea Oaks Country Club, which is indeed, a public golf course with catering facilities. 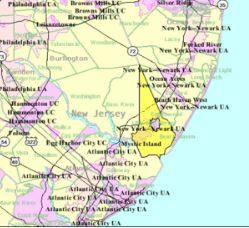 The community is is in a great place because it’s only minutes to Long Beach Island, and nearby is Atlantic City, . Enjoy local activities such as fishing, boating, golf, shopping, dining and much much more. In addition, your pets are welcome at Sea Oaks. There’s a homeowners association, therefore a monthly association fee will be assessed, and this fee covers lawn maintenance and snow removal. K Hovnanian built almost 300 homes in Four Seasons Sea Oaks between 2000 and 2007. The homes have either 2 or 3 bedrooms and 2 car garages. Additionally, some models have lofts. Homes range in size from 1,872 sq ft to 3,423 sq ft. The clubhouse in Four Seasons Sea Oaks offers tennis, bocci, meeting and card rooms and more. And you can be as involved or as un-involved in the activities as you want. Additionally, there’s a State-of-the-Art fitness center.for those who want to stay in shape. No matter what the weather is, you can swim because there are indoor and outdoor pools.And there is a monthly newsletter that keeps you up to date on the activities. In fact, you’ll find a restaurant with bar and even a small hotel for your overnight guests. The Ocean County transit system, Ocean Ride, provides bus transportation throughout Ocean County. 12 bus routes connect key residential areas with popular destinations such as shopping, and employment, in addition to social services. Furthermore, the Reserve-A-Ride Program provides door-to-door, non-emergency medical transportation service. This transports seniors (age 60 and over) to medical facilities in Ocean County. You’ll need to make advance reservations but a fee is charged. 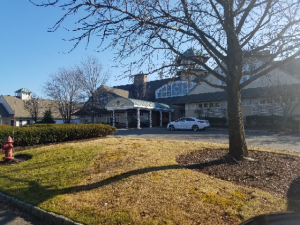 Four Seasons Sea Oaks has a great location because it’s just minutes from Long Beach Island. When you’re ready to either buy or sell a home in Sea Oaks, contact us. Call Bunny and Art Reiman, the Active Adult Community Specialists. Are you Looking ForNew Construction?